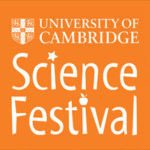 LMB at the Cambridge Science Festival: 19th March. On Saturday 19th March 2011, as part of the annual Cambridge Science Festival, LMB scientists are involved in events across Cambridge aimed at promoting science to the general public. Crystal Clear is an exhibit run by the LMB’s Samantha Wynne and Harry Powell, showing various types and sizes of crystalline materials, from large potash alum and salt crystals down to tiny protein crystals viewed through microscopes. Systemic lupus erythematosus is a chronic, life-threatening inflammatory autoimmune disease that can cause debilitating fatigue, painful and swollen joints, fever, skin rash, and kidney problems. The disease can also lead to arthritis, kidney failure, heart and lung inflammation, central nervous system abnormalities, inflammation of the blood vessels, and blood disorders. Approximately five million people worldwide suffer from various forms of lupus, the majority of whom are women. 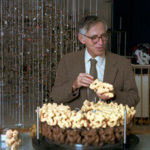 In the Prefatory Article for this year’s Annual Review of Biochemistry, Sir Aaron Klug describes his extraordinary life and scientific achievements. The Prefatory Article honours one scientist each year by publishing an autobiography detailing their life’s work. This year, it called attention to Aaron’s incredibly varied and productive career. 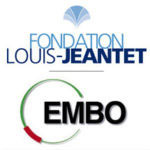 The inaugural Louis-Jeantet Foundation Young Investigator Career Awardee was chosen from holders of the European Research Council (ERC) Starting Independent Research Grants. Jason was awarded an ERC grant in 2007, when the success rate was 3.2 percent. The Young Investigator Award consists of CHF 425 000 to fund a three to five year research project. This award will allow Jason to extend his pioneering work on reprogramming the genetic code into new areas. Dr David Komander from LMB’s PNAC Division has received a prestigious European award. 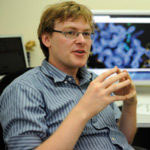 He has been elected into the EMBO Young Investigator Programme for three-years, starting on 1 January 2011. The programme identifies some of the brightest young researchers in Europe, providing academic, practical and financial support. David will join a vibrant network of 200 Young Investigators from all over Europe. David’s research looks at specificity in the ubiquitin system. Four LMB Group Leaders have recently been awarded prestigious 5 year grants from the European Research Council (ERC). 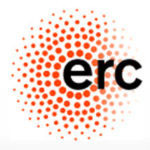 ERC grants are given for pioneering frontier research in any field of science, engineering and scholarship. The ERC’s main aim is to stimulate scientific excellence by supporting and encouraging the very best, truly creative scientists. Dr Lori Passmore from the LMB’s Structural Studies Division has been awarded a €1. The LMB has been invited to exhibit 18 pieces of work from the “Imagining the Brain” initiative at an art/science collaborative project exploring mental health problems, from a variety of perspectives, including those suffering and those researching solutions. 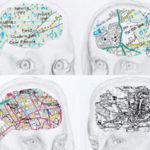 “Inside the Unquiet Mind” is a multi-sensory multi-media arts installation with musical performances and presentations from Cambridge Neuroscience, as part of the Cambridge Festival of Ideas. 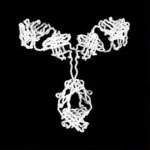 A pioneering MRC research unit in Cambridge focused on the structure, stability and activity of proteins and the engineering of antibodies is closing after 20 years of existence. The MRC Centre for Protein Engineering (CPE) closes its doors at the end of September, following the retirement of its Director, Professor Sir Alan Fersht. 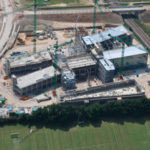 The new building for the LMB has reached the first major stage of completion, known as ‘topping out’, which describes the moment in a construction project where the final beam is placed at the highest point of the building. The Rt Hon Andrew Lansley CBE MP, performed the ‘topping out’ ceremony today to commemorate this landmark moment in medical research. 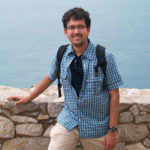 Dr Madan Babu, group leader in LMB’s Structural Studies Division, has been selected to deliver the first Royal Society of Chemistry’s Molecular BioSystems Award Lecture at the 2011 American Chemical Society’s Spring Meeting. Madan has been chosen as the recipient for his significant contribution to the field of Systems Biology. 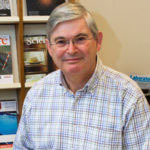 He has also just been awarded the 2011 Balfour Lecture by the Genetics Society for his contributions to the areas of Computational Biology and Genetics.